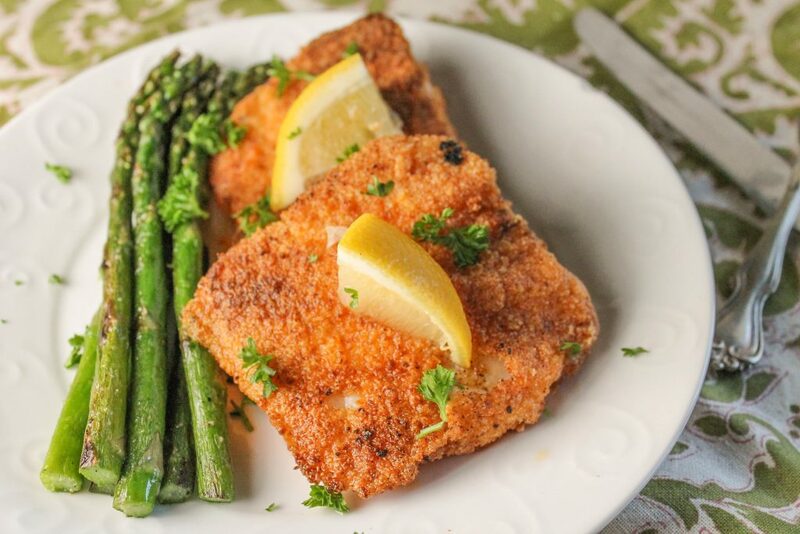 Crispy pan fried fish is totally an option even when you are gluten and egg free!! How DO you fry something without eggs?? With a couple of simple tweaks, you can recreate any favorite version!! 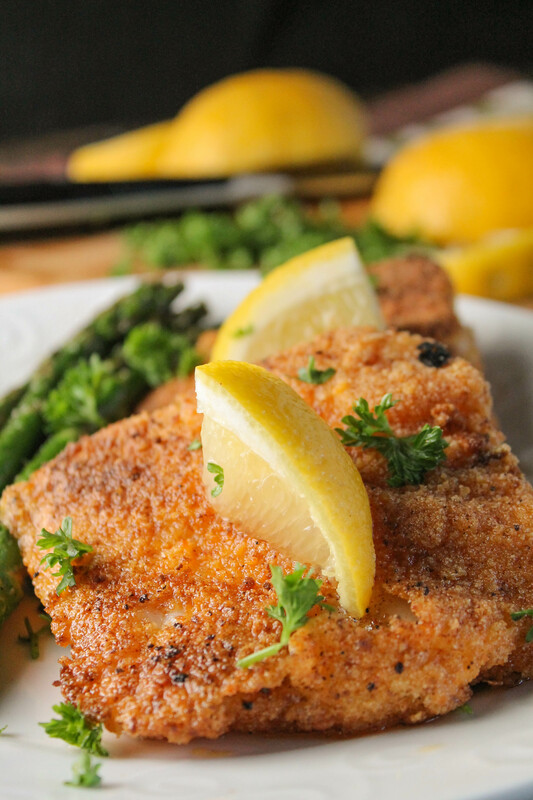 This gluten free fried fish recipe helps the reluctant fish eater to enjoy a healthy food! 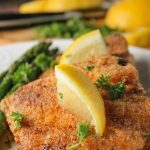 This is one of those pan fried fish recipes that most people love, even if they don’t love fish. My kids eat it up, and I certainly love it too! While my taste buds have certainly changed over the years (I HATED all fish growing up), I am still very sensitive to overly fishy flavors. I have found that most mild fishes are my best bet….or fresh-caught fish. I love how this recipe will work with ANY favorite fish….if you know you like it, then use it!! Or make up your own: it’s flexible that way, and there some great spice blends out there now-a-days to capture flavors from all over the world! My son’s current tests mean no egg whites, so I used the milk/oil emulsion. If you’d like to mix an egg with the milk, that would work too! This pan fried fish served along aside a fresh green salad and maybe some rice, makes for an easy and delicious dinner! Whisk the milk and oil together (this mimics eggs, which you could do instead if you like). Dredge the fish fillets in the milk/oil emulsion and then in the breading. When the oil is hot, place the fish in the pan. When golden brown, a couple of minutes, flip and brown the other side. Can I use coconut oil instead of avacodo oil? Also, it says mix milk and olive oil in directions but doesn’t list olive oil in the ingredients? yes, but the milk will need to be room temp as coconut oil solidifies below room temp. And i fixed the directions, thank you!! 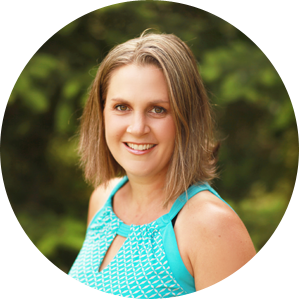 Thank you so much for sharing and creating this site! My daughter is allergic to wheat, egg white and peanuts. I am running out of ideas what to feed her other than rice and soups! It’s easy to get into a rut and feel stuck! I hope you find some inspiration poking around! A tasty,simple way for a great weeknight dinner!